Foreign investors wanting to buy residential property in the ACT will have to pay more land tax from 1 July. Photo: File photo. Foreign property investors will be slugged more land tax in the ACT as part of Government moves to ‘rebalance’ the housing market in favour of local buyers. But the Opposition says the move would only hurt the economy and increase rents. 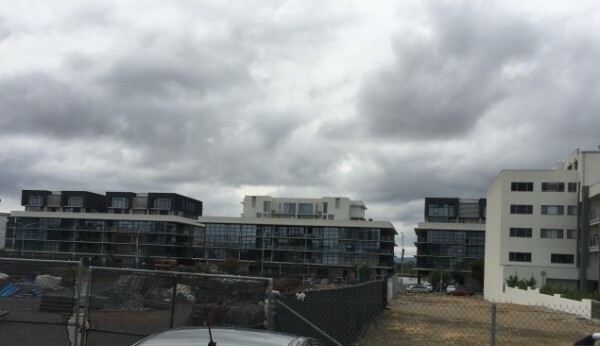 Chief Minister Andrew Barr said that from 1 July, foreign investors would pay an additional annual land tax surcharge of 0.75 per cent on the average unimproved value of their residential properties in the ACT. Mr Barr said the charge was estimated to raise around $4 million in additional revenue from 2018-19 to 2020-21. “The charge will only apply to foreign investors. ACT and Australian residents will not pay the new charge, and neither will homeowners who live in their property. Further details of the surcharge will be released as legislation is tabled,” he said. Opposition Leader Alistair Coe said Mr Barr should be focused on releasing more land for free-standing houses. “The real issue in Canberra is the lack of land being made available for free-standing family homes. Instead of releasing land, he is going for a tax grab that will either drive up rents or devalue the purchases of owner-occupiers,” he said. Mr Coe said the Chief Minister had spent hundreds of thousands of dollars travelling overseas to attract foreign investment and now he was saying he doesn’t want foreign investment. “ACT Labor has demanded thousands of apartments be constructed and now he is trying to stop people from buying them. The foreigners who do buy them as an investment will now have to charge more for rent to recover the increased costs,” he said. The latest data from CoreLogic shows that the median price of a house in Canberra is $669,642, with units at $431,048. Do you think increasing land tax for foreign property investors will help local home buyers? Share your thoughts by commenting below. Is this the same government that got the overseas tram instead of the local Australian model? Land Tax is a government tax grabbing rort. Imposing a higher Land tax on foreigners means less foreigners building accommodation in Australia which means less homes available to rent or buy. Which means higher prices and increased homelessness. If State governments were honest they would simply ensure that foreign investors only purchased NEW builds and not existing buildings. That would increase supply, reduce home prices and reduce rents. The other government deception keeping home prices high is in regard to immigration. Land Tax combines with higher property demand from immigrants and causes investors to develop, and to purchase, high rise properties (as distinct from low rise with a greater land component) to save on Land Tax expenses which increase when there is more land used in any one development project. Two hundred high rise apartments on one block of land pay only one two hundredth of the Land Tax that one dwelling on that same block will pay thus reducing the Land Tax component for each individual high rise apartment. The goal of investor Land Tax that is imposed on Australians as distinct form foreigners is to put more people into smaller homes; that is small apartments with no back or front yards, so-called economic efficiency, while raising as much tax money as possible. Cash grab, nothing more. If foreign investors are so hurtful, pass lego to disincentivise them investing... but no, tax them enough so people think you're doing something about an issue but not so much as to remove the income stream altogether. Land Tax only reduces supply and pushes up prices and rents, Margaret. Peter Rowan let’s just try it and see, shall we? Peter Rowan the majority of economists say stamp duty is a bigger issue than a land tax. Removing stamp duty means more people are likely to move and thus more properties available, but also more people looking to buy. Looks fairly neutral to me. Land taxes mean people sitting on valuable land keep paying for that land at a rate dependent on size and location. We shouldn't be taxing people because they want to downsize or upsize throughout their life Why should someone who spends their whole life in one house pay less tax than people who move to an appropriate sized house for that stage of their life? Margaret Freemantle Well yes Margaret. Let's also try jumping into water and see if we can stay dry. Meanwhile we will ignore all the people we hurt. Justin Watson Jason, Stamp Duty should be removed entirely because it stops people from moving as you say. Equally, I am sure you will agree, that Capital Gains Tax should be removed because it also stops people from transferring from one asset to another. Capital Gains Tax is the same as Stamp Duty but is charged at the end of the transaction instead at the beginning. Now, that said, Land Tax is an entirely different tax, I am sure you will agree. Land Tax is charged regardless of the income from the property...I think we should apply Land Tax to your home as a test run to see how much you like it. Or, if you are renting we must ensure you pay it via the increased rent to your landlord. Yes, but way more needs to be done.